This New Year’s Eve, you don’t have to leave London to escape to an exotic destination with a marvelous yet thoroughly London New Year’s party at the legendary Mahiki in Mayfair. An ambient space with festive tiki-themed décor and a reputation for high-energy, star-studded nightlife, Mahiki is the escape for the ultimate New Year's in London. New Year’s at London's Mahiki is the sizzling antidote to cure your winter blues. Heating up with a live DJ performance of open format Top 40, old school classics, and mash-ups, tiki-fuelled revellers will find their groove on the dance floor. As midnight approaches, the DJ will lead the crowd in an explosive live countdown to the New Year, complete with a complimentary champagne toast. For an A-list nightlife experience, opt for VIP packages featuring reserved seating and bottle service. With tiki-tastic décor and a celebrity clientele including Prince William and Kate Middleton, Beyoncé and Jay-Z, and Rihanna, Mahiki London is one of the top nightlife destinations in the city. The décor features a straw ceiling, bamboo pillars, tiki statues, a wood-panelled bar, and unique lighting fixtures, creating an atmospheric nightlife getaway in the heart of London. A beach-themed karaoke room with its own stage provides a fun hideaway for a private party or VIP experience. 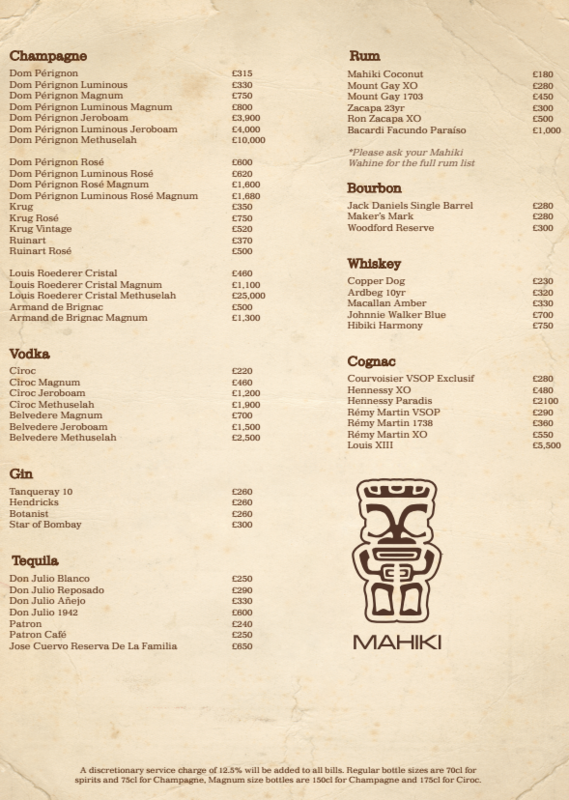 The London New Year celebration gets an upgrade with Mahiki. Experience London’s legendary star-studded nightlife this NYE with the New Year’s party at Mahiki London.